Gaylord Palms Resort & Convention Center is inviting you to pucker up under their six-story Christmas tree in the St. Augustine Atrium. 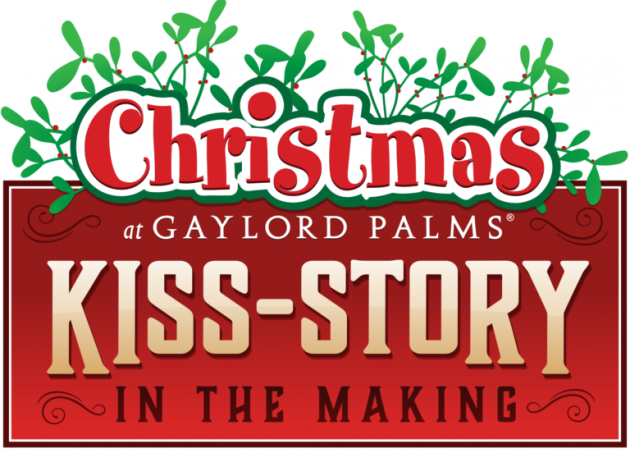 It's Kiss-Story in the Making at Gaylord Palms Orlando event plans on shattering the Guinness World Record for most couples kissing under the mistletoe in one location. Be a part of Kiss-Story in the making on December 7th at 8:15pm when the Guinness World Records adjudicator will be on site counting every kiss. Fresh Mistletoe will be provided by Greenery Productions INC and fresh breath will be guaranteed thanks to Mentos. Each couple must hold their kiss for at least ten seconds for it to count. After things heat up and history has been made contestants can cool down with an exclusive tour of ICE! featuring Christmas Around The World. Get a glimpse into how other countries including Germany, Mexico, the UK and more celebrate Christmas carved out in colorful ice sculptures. Tickets for the event are just $34.99 and includes admission for 2 to Kiss-Story In The Making, admission for 2 to the ICE! experience and self-parking. For couples wanting to plan a romantic holiday vacation in Orlando, the Gaylord Palms Resort & Convention Center is offering a special room rate when you use PROMO CODE: ZS7. $159 a night plus tax and resort fees. The stunning resort and hotel in Orlando will be full of holiday cheer and decor to help you get into the holiday spirit. Looking for even more holiday cheer? Be sure to check out our full guide to Christmas in Orlando.